I’ve purchased Nativechurch WordPress Theme from Themeforest. I have installed the theme file, and imported the sample data. However, I cannot find the option to create the mega menu. (ref. image) As shown, the option is entirely missing from the appearance menu. Please respond as soon as possible, and thank you for reading. Thank you for your purchase. 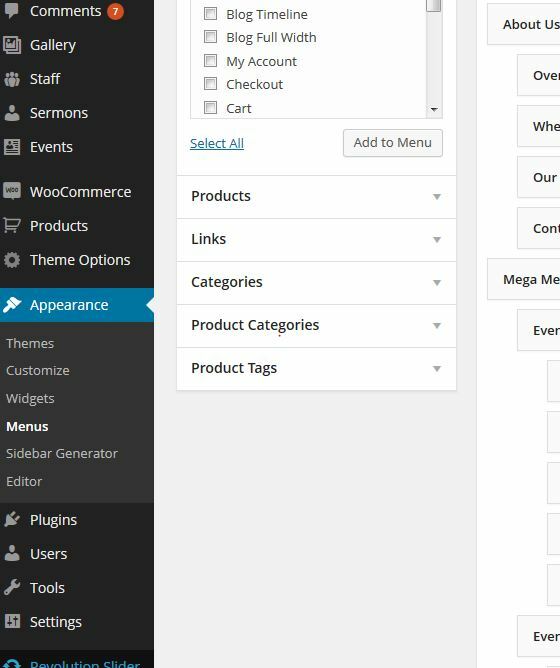 You can activate the mega menu tab by going to screen options which you will find at the top right corner of the Appearance > menus page in wordpress dashboard. There are all the options like custom posts categories, mega menu etc. Just check which you need.